I would like to welcome B.C. Morin to the blog for this week! She is the author of Mark Of The Princess which released this month! I myself have not had the chance to read her book but it sounds amazing! Now we will get down to the interview! I will hopefully have the paperback version available next week !! I used to write poetry in Middle School and in High School. Towards my Senior year I started writing more short stories. I started b/c it was always a way to express myself and even as a release. That one is kind of tough. I was published for poetry in High School and I still didn't consider myself a writer. I thought I was just a kid whose poem they liked ! lol. 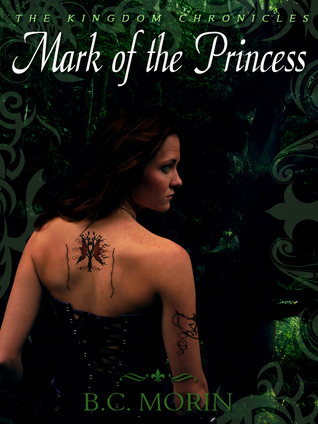 I would have to say that the closer I got to finishing my manuscript for Mark of the Princess, the more I considered myself a writer. I would probably say that my style is action centered, fun, constantly moving, and kind of romantic. I actually had another title (which I can't reveal b/c I may still use it for one of the others), but I really wanted it to reflect one of the main points of the story yet still be kind of mysterious. That everyone has the power to fight, and when you fight, then you may overcome. Not everything turns out the way we want it to. But if you take what life gives you and make the best of it, then you have a fighting chance. I would say that parts of my character's personalities are very realistic. WOW, that one varies alot .... I'd have to say The Bible, The Harry Potter Series, Eragon, The Mortal Instruments, and to a certain extent most of the books I have ever read b/c in one way or another they always took me somewhere, and kept my imagination going. That one is a tie between J.K. Rowlings and Cassandra Clare. There is a select few friends that loved Mark of the Princess before it was even completed and published and encouraged me. Yes, I would LOVE that ! I just get a story in my head and I HAVE to get it on paper or a computer. Shakily, Alannah got to her feet, trembling slightly from head to toe. The long dark robe, the sorcerer’s hood, the long white beard …. I know him, she thought. Maligo simply smirked raising an eyebrow. “My father will find you and kill you for what you have done.” She said to him solemnly. Maligo towered over her, a leering smile twisting his dark face. “You would have to consider yourself lucky if you ever see your father again. Even if it is while he watches me take your life.” He snarled, allowing a haughty smirk creep across his face. Making sure that I do not get ahead of myself. No, but I would like to someday. From the writing itself, I learned that I really cannot get enough of telling a story. I read a quote once that I share with all my other author friends ..... The only difference between a writer and a published author is that the published author never gave up. ... So I say to them... Never give up. I appreciate you all more than you know ! Your encouraging words, your support, everything you do is GREATLY loved and appreciated. I do this for you all ! If you have any questions or comments for B.C. please make sure to leave them here in the comments section! And now.......a Giveaway!!! B.C. 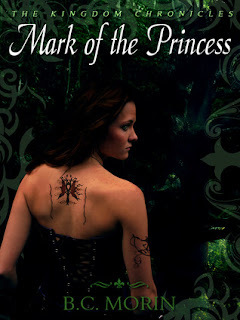 had kindly offered 6 bookmarks, a beautiful candle, and a e-copy of her book Mark of the Princess!!!! Great interview Autumn! Sounds really good and thanks for the chance.